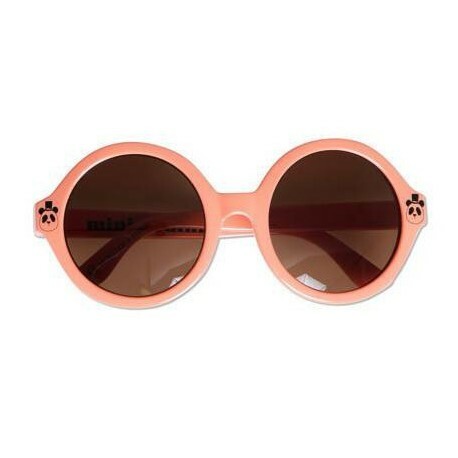 Pink sunglasses with round frames, brown lenses and Mini Rodini’s classic panda printed on the temples. 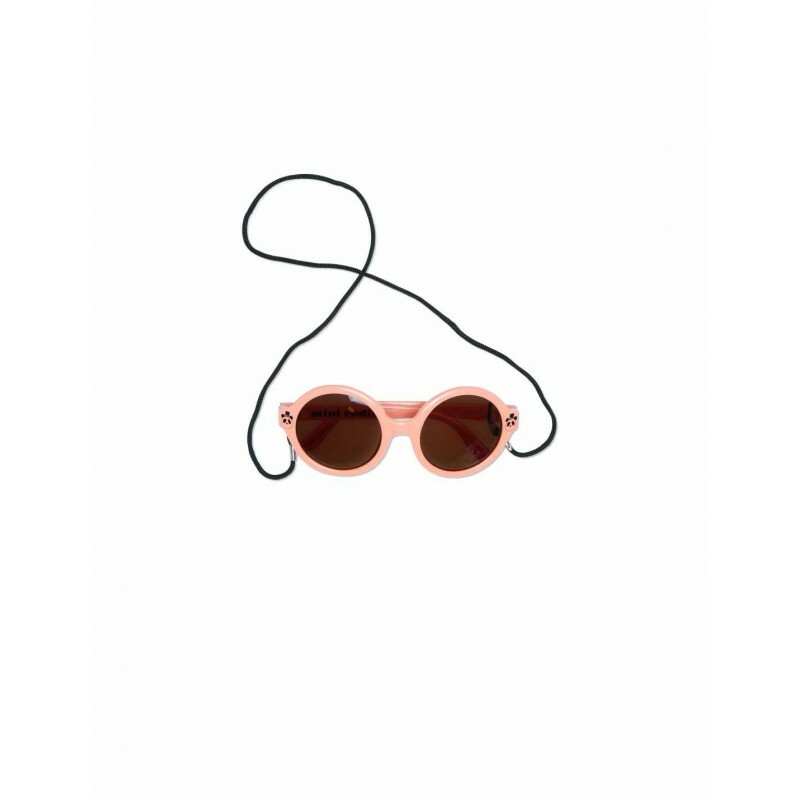 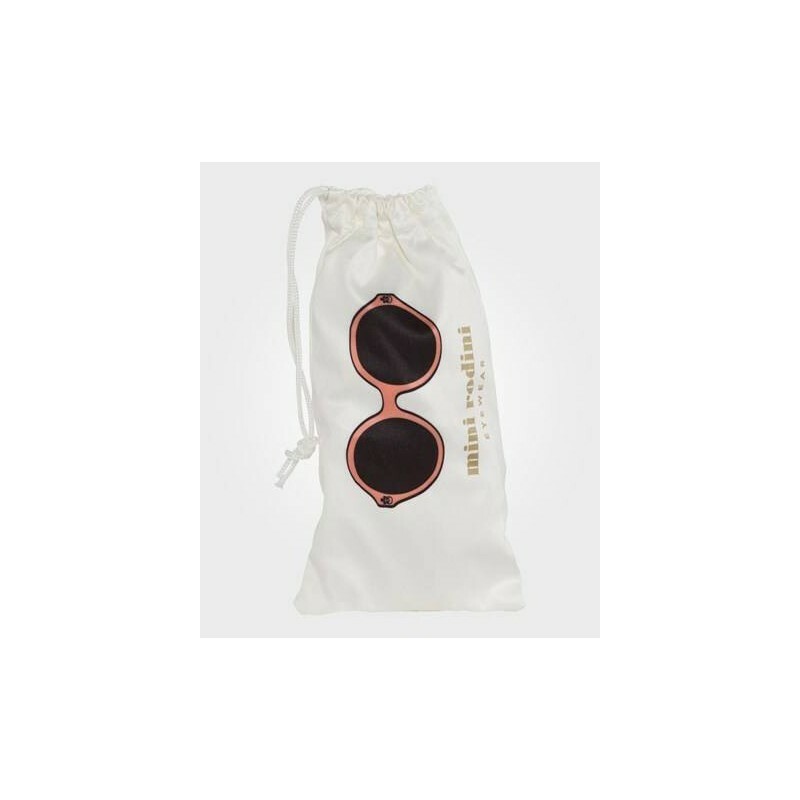 They are delivered in a printed eyewear bag with an eyewear cloth and a black neck cord. 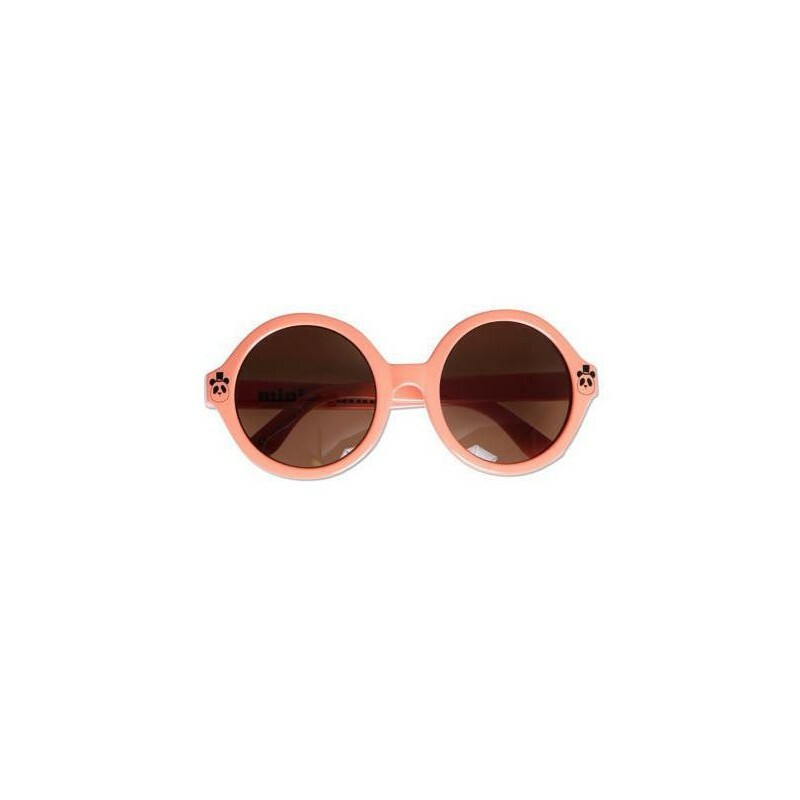 The sunglasses have CE marking and excellent UV protection, category 3 – UV400.